Great power comes at a price, forcing Tea to leave her homeland to train under the guidance of an older, wiser bone witch. There, Tea puts all of her energy into becoming an asha, learn-ing to control her elemental magic and those beasts who will submit by no other force. And Tea must be strong—stronger than she even believes possible. Because war is brewing in the eight kingdoms, war that will threaten the sovereignty of her homeland…and threaten the very survival of those she loves. The Bone Witch caught my eye because I loved Rin Chupeco’s writing in her The Girl from the Well stories. She has this way of making things have this haunting feel to them that really brings the best out of stories like these. I really enjoyed her writing once and again as well as the story itself. I love how this story is told. Present Tea is relating the story of how she got to where she is to a bard. It was interesting to go back and forth because you start to see Tea in a different light as things begin to match up. I loved her as an MC. She was just such an interesting character, especially for the fact she often mentions that it feels good to draw from the dark magic. As the story goes along you start to wonder what side is she one. Is she good or bad? The lines all seem blurred. I loved how intelligent she is, even if at times she can be impulsive. I love her fondness for her brother and her Asha sisters. I also really like that Tea wants to do the right thing by her friend, who is a boy but loves to dance and sing more than be a soldier. She understand why he has to be forced into a role he doesn’t want. 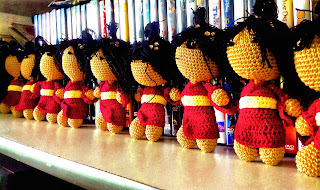 It’s been a long time since I’ve read Memoirs of a Geisha, but I have to say the Willows reminds me of that a little. I guess the Asha are similar to Geisha except of course they have magic. They also have their own political world outside that of the kingdom politics and each House is kind of like it’s own kingdom. The Asha system used to be a bigger part of the political game I think but then they started to veer off in their own agendas. We spend a large amount of the story with Tea learning to be an apprentice and the ins and outs of the world. It’s very intriguing. I also love the time that is taken to describe all the different outfits and adornments. An Asha’s Hua can tell a lot about her. I find the relationship and the Oracle to also be intriguing. It’s only lightly explored in this book but I’m curious to see how much more details there are in the next book. As Tea walks this line between what is considered to be good and evil (I think the considered is important), I want to know what part the oracle is really playing. There are some other great side characters. Like the Heartforger and his apprentice, the different shop owners and of course other Asha. Of course there is the light love interest, again it’s not deeply explored...yet. So the ending….leaves you like, okay I need the next book. It’s a cliffhanger of sorts. I really liked it though and am looking forward to see more of the story. 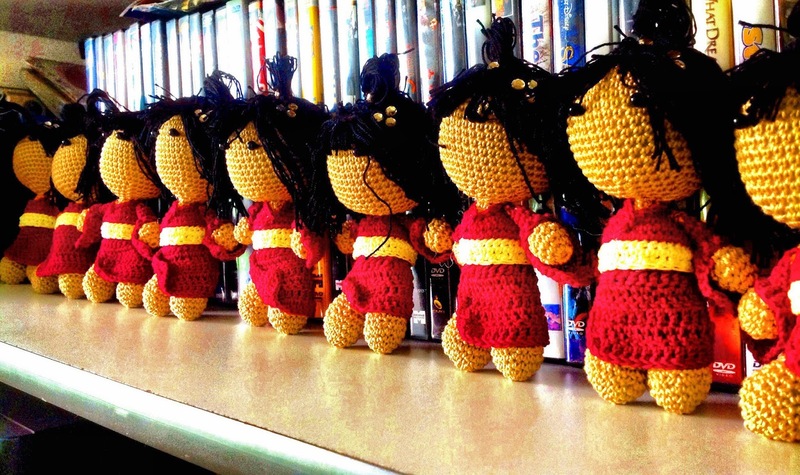 So Rin made these adorable chibi characters of the different Asha. I'm in love with them. Rin Chupeco wrote obscure manuals for complicated computer programs, talked people out of their money at event shows, and did many other terrible things. 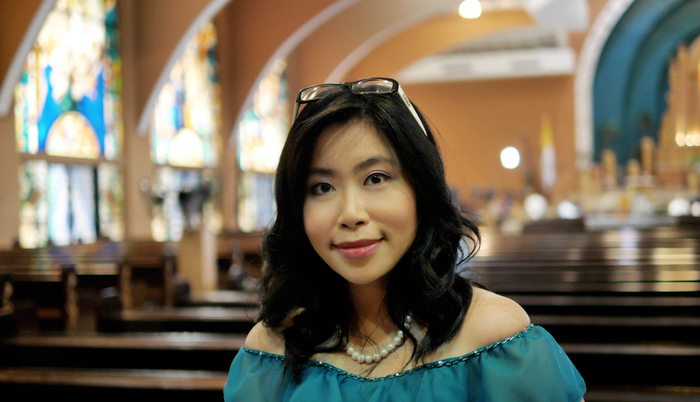 She now writes about ghosts and fairy tales but is still sometimes mistaken for a revenant. 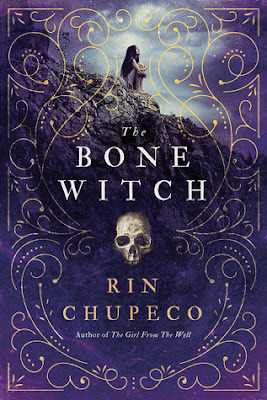 She wrote The Girl from the Well, its sequel, The Suffering, and The Bone Witch, the first book of a new YA Fantasy trilogy. Find her at rinchupeco.com. I kind of love books that you don't know if the characters are good or not. I also, LOVE those characters that Rin made. They are the cutest things ever! Thanks for being part of the tour and great review!! 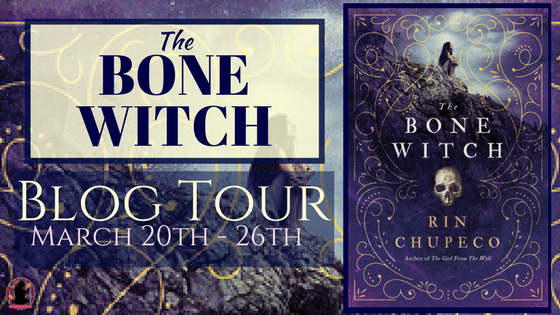 I have added the Bone Witch to my TBR. The more I learn about it, the more I want to read it.